On the afternoon of July 31, 2008, two men were killed in the 7600 block of Race Street by gunmen who ran out of a wooded area and fired upon them. It was not the first instance of gun violence on Race Street, but this incident led one resident, Minister Terry D. Fluker, to say, “Enough is enough,” and to begin sharing with neighbors the desire to organize to save the street from violence, and from the negative forces that lead to violence. With assistance from Khalif Ali, community organizer with Operation Better Block Inc., Min. Fluker pulled together the meeting at which residents formed The Save Race Street Committee, on November 1, 2008, in the basement of Baptist Temple Church. The Committee followed a long tradition of block watches in Homewood, while also representing something new – a block watch-type organization for the entire street, rather than for just for individual blocks. Recognizing that blight breeds crime, the Save Race Street Committee brought residents of the entire street together to organize street cleanups and beautify vacant lots. We boarded up houses, and coordinated a planting of the first new street trees on Race Street in decades. In addition, we have hosted yard sales and social events, and partnered with our Monticello Street neighbors for joint celebrations of National Night Out. Speaking of partnering, our work has also brought us into partnership with the Urban Redevelopment Authority, Rosedale Block Cluster, Community Empowerment Association, Rebuilding Together Pittsburgh, Operation Better Block, GTECH Strategies, the Western Pennsylvania Conservancy, and Carnegie Mellon University. 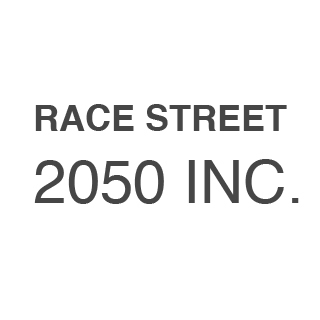 In 2015, SRSC members formed Race Street 2050 Inc. Expanding upon the Committee’s original purpose of reducing crime, Race Street 2050’s purpose is to exercise care for Race Street residents and property owners, and stewardship over our environment. Building on our prior work, we are in the midst of exploring options for preserving the historic character of our street, while making Race Street an example of resident-led renewal.